One more big hack by Silent Hacker ( Indishell ) . After attacking IbrarCentre.pk - Number 1" classified ad ads posting site of Pakistan, KCPS Campus - famous Campus in jammu , web.pk , Mass defacement of High Profile Pakistani Websites The Next target of Silent Hacker is HindustanTimes. 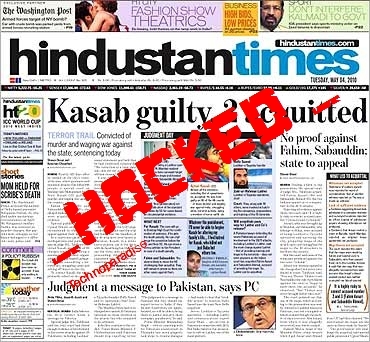 Hindustan Times News Portal of India Got hacked by Silent Hacker ( Indian Hacker ) As the vulnerability was reported to the admin and other staff of the website but the site is still vulnerable. I think they won’t care about it. So here’s the whole database exploited and Dumped . The site is vulnerable to SQLI ( Blind SQL Injection ) and XSS non persistence .